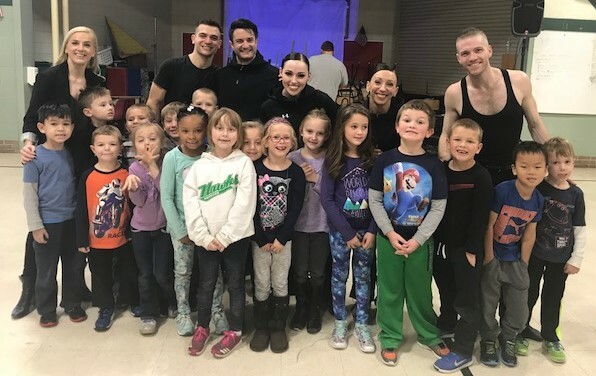 Harrison Elementary, one of our artsBASICS schools in Davenport, had Giordano Dance Chicago as a Visiting Artist in early November. They were a dance group that was scheduled through Quad City Arts. 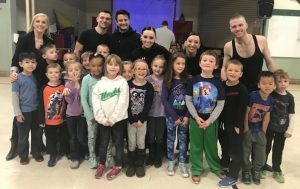 Their outreach tour was “The influences on American Jazz Dance”. They gave 2 outstanding performances at Harrison, & are shown here with one of our 1st grade classes.